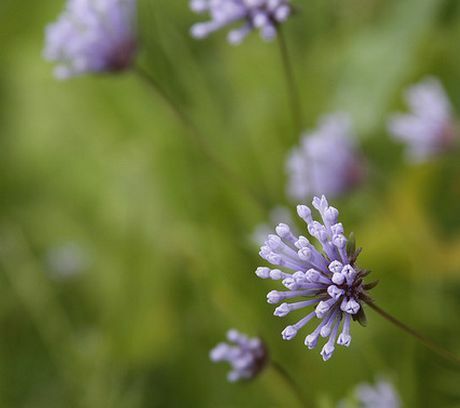 Plants from the Asperula genus can either be hardy annuals or hardy perennials. They are commonly known as woodruff or sweet woodruff. The annuals tend to flower in the middle of summer, whereas perennials tend to flower in the spring. Woodruff are small spreading plants that make a great plant for rockeries. They can also be used to cover bare ground. Asperula usually have tiny flowers of pink or white. Asperula Arvensis by Alexandre Dulaunoy. Common Names: Woodruff, Squinancywort. Woodruff: Sweet; Common; Blue; Mountain; Alpine; Prickly; Pink. Height: 4 to 12 inches (10 to 20 cm). Flowers: Annuals: mid-summer. Perennials: late spring. Flower Details: White, pink, blue. Fragrant. Tiny. 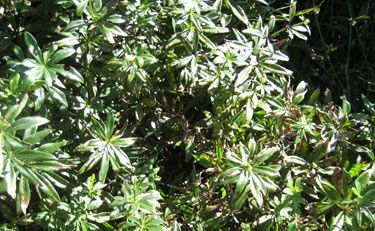 Foliage: Lanceolate. Whorls. Evergreen. Herbaceous. Sow Outdoors: Surface. Annuals: spring. Perennials: spring and early summer. Spacing 3 to 9 inches (7 to 22cm). Sow Indoors: Use fresh seed. Sow in a container, wrap in a plastic bag and place in the fridge for two weeks. Remove then germinate in the light. Germination time: three to seven weeks. Temperature 50°F (10°C). Transplant outdoors following the last frost. Requirements: Best results in full sunlight, but can grow in partial shade. Mulch with leaf mold. Soil pH 4.5 to 5.5. Humus rich, moist soils. 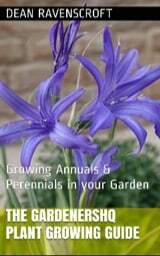 Propagate perennials by stem cuttings or by division in spring or autumn. Miscellaneous: If using for cooking them remove leaves before flowering and allow to dry. If growing annual varieties of Asperula outdoors, it is best to pre-chill the seeds about ten weeks before sowing out in the spring. Perennial varieties can be planted out in the spring beginning of summer. Woodruff typically takes about 3 to 6 weeks to germinate. Seeds should be sown in pots, then wrapped in a plastic bag to protect from light; the tray should then be refrigerated for about two weeks. Following this imbibing process, the tray should be placed in light at a temperature of ten degrees Celsius. Seedlings should then be transplanted after the last frost of winter or spring, smaller species of Asperula should be spaced at about 10 cm whereas larger Asperula varieties should be planted about 20 cm apart. Ideally they should be planted into a soil which is acidic in nature (pH 4.5 to 5.5); the soil should be moist and humus rich. The Asperula plant is pretty easy to look after; if you plan to use the leaves for cooking, then the leaves should be harvested before flowering has occurred. It is best to grow annuals from seeds, but perennial varieties can be divided in the spring or autumn to create more plants.